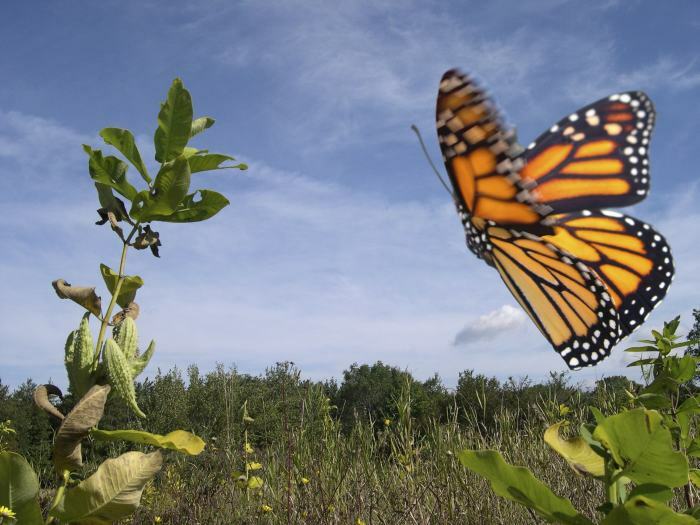 Monarchs are on the move, but facing new dangers. Long threatened by logging and agricultural activities, climate change poses new challenges. Here's their story and a few steps you can take to help them along the way. Does a Monarch come to mind? 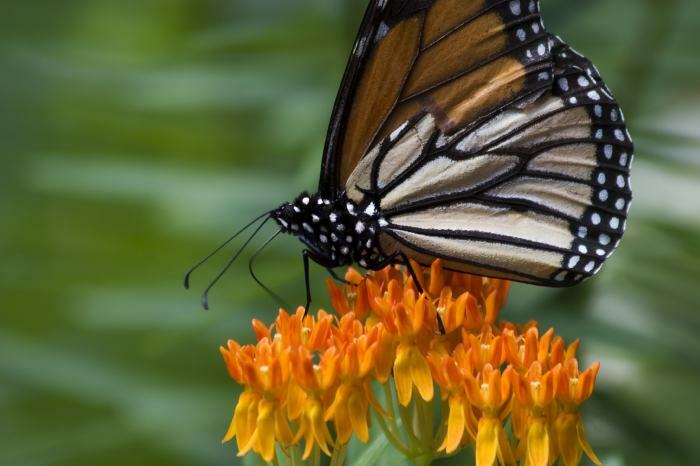 Monarch butterflies are so ubiquitous throughout North America that when you think of a butterfly, chances are an image of a monarch comes to mind. Monarchs cannot tolerate long cold winters. They migrate south and overwinter in Mexico and in coastal and southern California. To stay warm, they cluster together, sometimes tens of thousands on a single tree. A single female butterfly can lay hundreds of eggs on the leaves of milkweed plants, the only food source for monarchs in their larval phase. 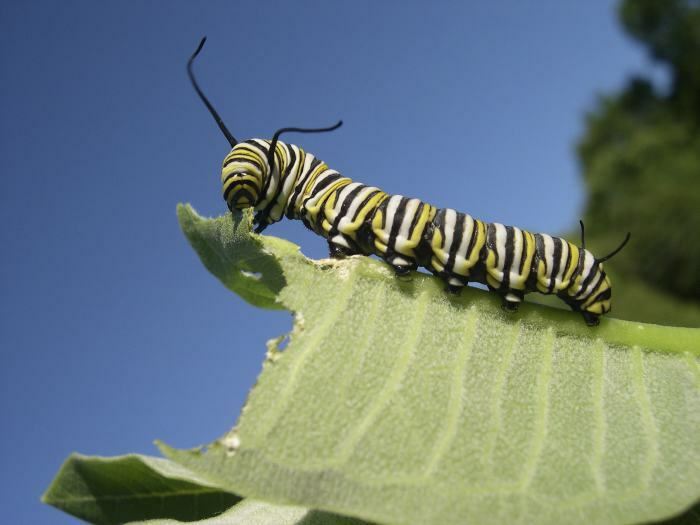 Monarch caterpillars feed on the milkweed's thick, gooey sap, which is poisonous to most vertebrates, making monarchs unpleasant to birds and other predators. The second generation continues northward, once again on the lookout for milkweed plants where they can reproduce. The cycle repeats for another couple of generations before the chill of fall returns and the southward migration begins. 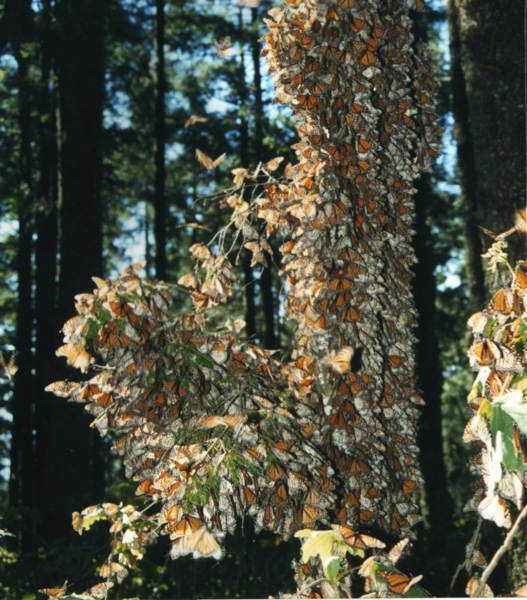 Amazingly, even though several generations have passed, monarchs return to the same forests as their ancestors. Scientists are starting to cite climate change as a growing concern. Extreme weather events — from summer heat and drought to bigger storms — are impacting monarch populations. 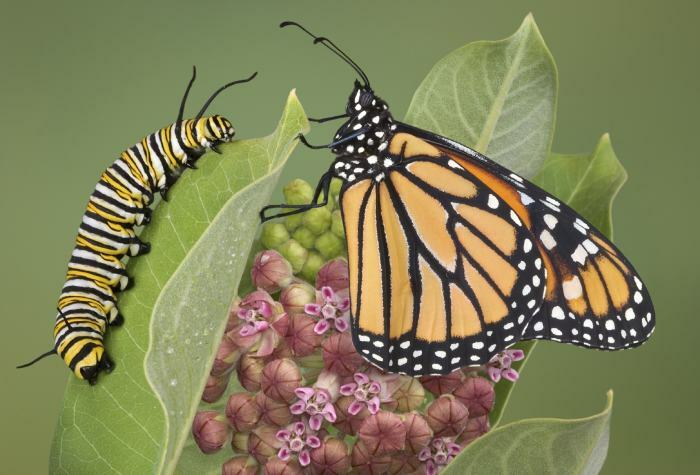 And several studies suggest climate change could alter the delicate balance of monarch migrations and habitats. 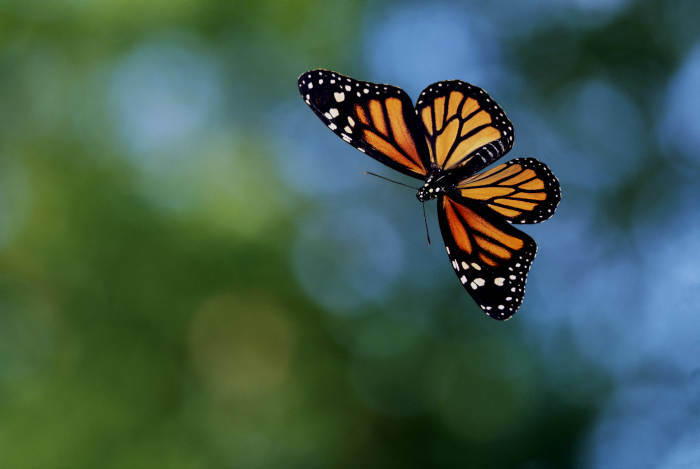 Monarchs were given their common name in 1874 by American entomologist Samuel Scudder, who wrote, "It is one of the largest of our butterflies, and rules a vast domain." The annual monarch migration is a miracle of nature. 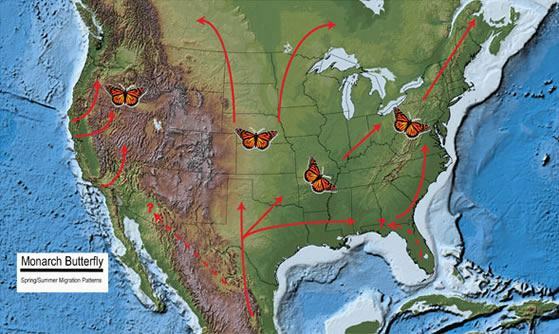 As spring temperatures rise, the adult monarchs start their northward migration. But they don't get far before they breed in the southern U.S. and die. The next generation then continues the northward journey. 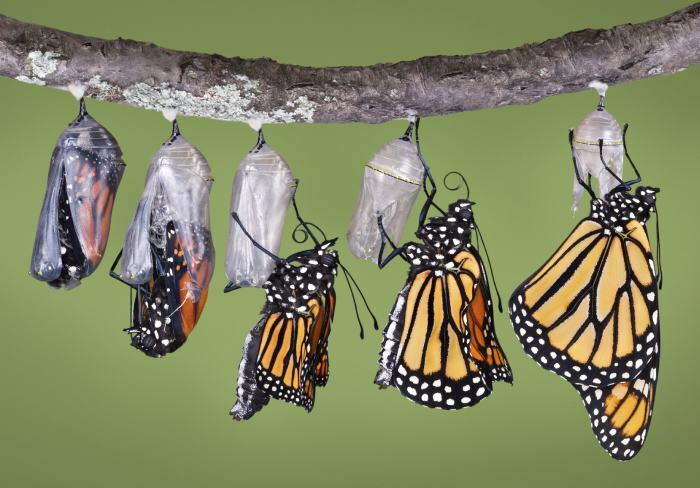 After gorging on the milkweed leaves for a couple of weeks, the monarch larvae form a chrysalis and begin a two-week chrysalis phase, after which they emerge as the colorful butterflies we know and love. Human activities are threatening monarchs in a number of ways, most directly through changes in agricultural practices and the destruction of natural habitat (e.g. logging and development). 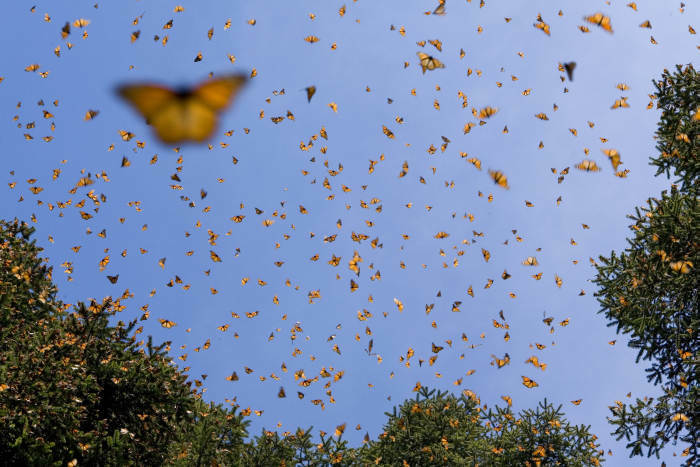 According to Monarch Watch, the number of monarchs that overwinter in the oyamel forests of Mexico declined by nearly 60% this year, representing the smallest estimated monarch population since scientists began tracking these winter colonies in 1975. They'll be sure to stop by on their migration route, and you'll be providing the females with a place to lay their eggs by providing food for their young. It's best to have at least 10 plants, of more than one kind of species. 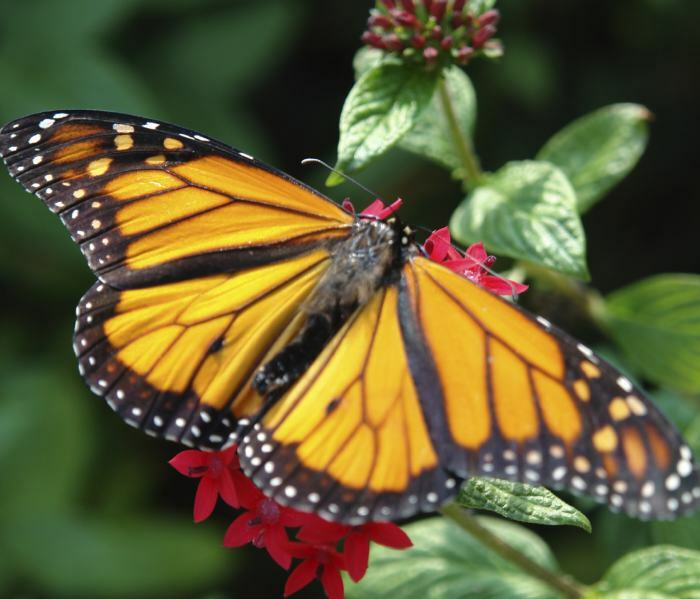 Nectar plants are important to monarchs during their breeding season and fall migration. Try to have at least 4 annual, biennial or perennial plants in your garden, and chances are monarchs will stop by. Monarch caterpillars may not be as pretty as the butterflies they'll become, but pesticides may rob them of that opportunity. Try to find more natural ways to keep garden pests at bay. Help spread the word about the monarch's plight. 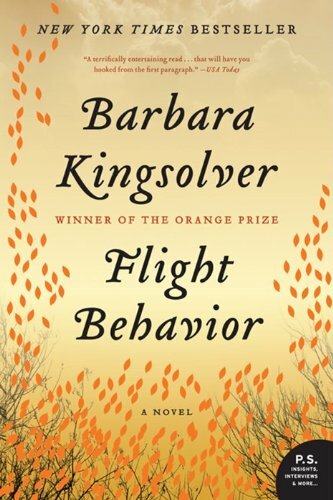 You'll also be eligible for a FREE copy of Barbara Kingsolver's Flight Behavior. Thanks to the support of dedicated people like you, we can continue to make a difference.